How about a post about trains again? Yeah okay, that sounds like a great idea! 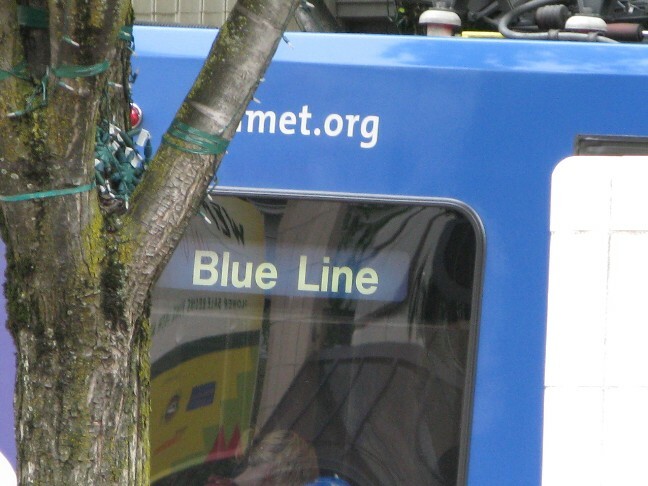 Why do problems on the Green Line affect Yellow Line trains? Why do we get kicked off at 5th and Mill when the train keeps going south? Fun fact: the Yellow and Green Lines are really just one long line. Nearly all* of the Yellow and Green Line trains change color every time they get to PSU before heading north again. 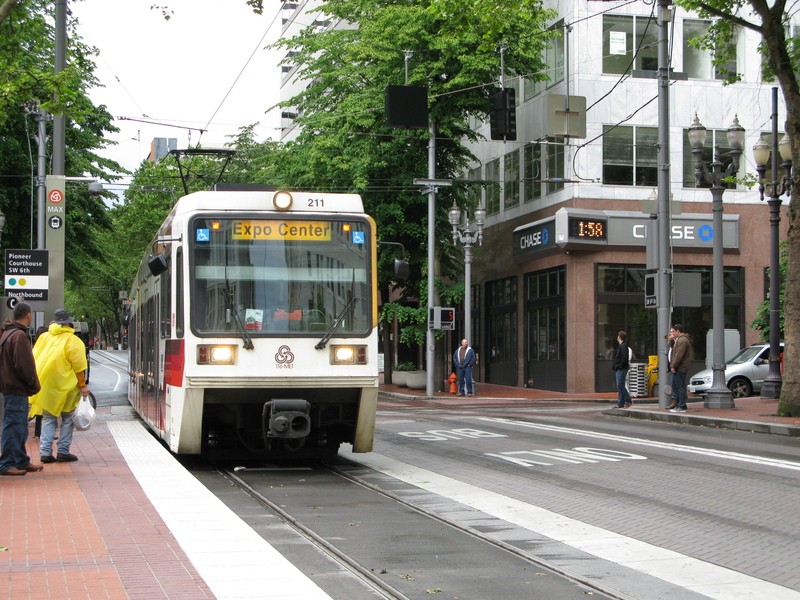 They are more interconnected than people realize – they don’t just share the transit mall, but they actually are the same trains. That’s why a problem that affects either Yellow OR Green will end up affecting both Yellow AND Green. * A couple of runs break the pattern by having two Expo-PSU trips before alternating Yellow and Green for the rest of the run, and some weekend runs will be mostly dedicated one way or the other before changing color. But essentially all of them change color at PSU, there’s just a couple of exceptions. Notice the car number (above the windshield – it’s 211), the train number (lower right corner of the window – this is Train 71), and the position of the box of paper towels and the operator’s orange bag in the window. This picture was taken at about 1:39pm at 5th and Couch of a train heading south. 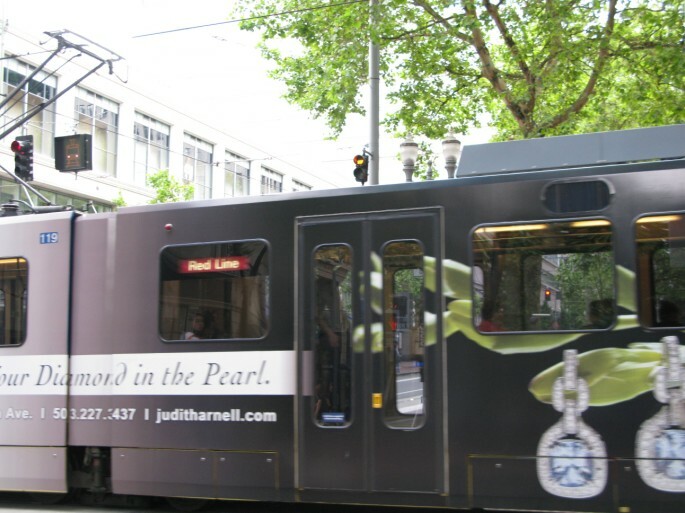 Taken at (as you can see in the clock on the background) 1:58pm by the Pioneer Courthouse of a train heading north – same car number (211), same train number (71), same position of the paper towel box and the operator’s bag. Same operator too, though you can’t really see him in either picture and I don’t want to post identifying information about anyone. If you watch the southbound trains on the mall, you can see the signs change approaching the stop for PSU. 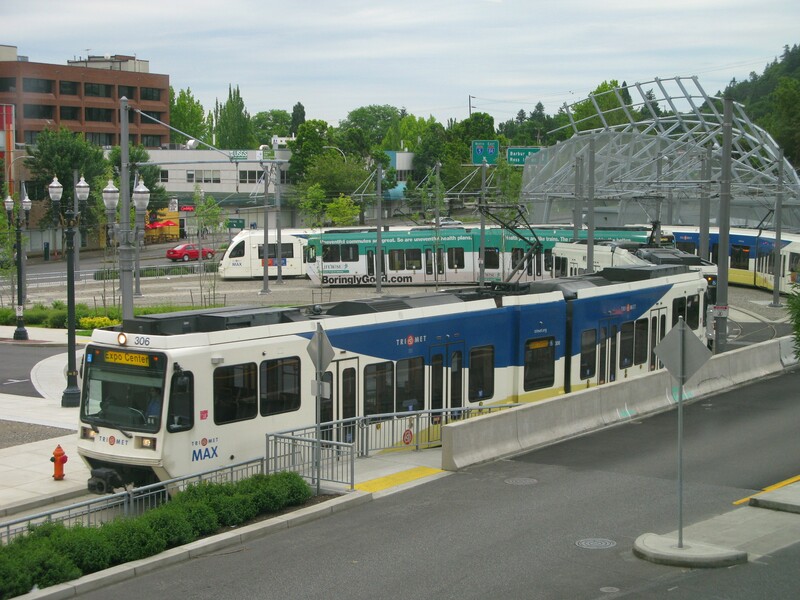 The turnaround at Jackson has three tracks – the first and third used by 2-car consists, and the middle track used by the one-car Portland Mall shuttle (the longer trains can pass through this track but they won’t stay in the turnaround on it). Assuming they arrive here on time, most Yellow and Green line trains will stay here from between 2-8 minutes, though some runs have longer breaks at the turnaround. 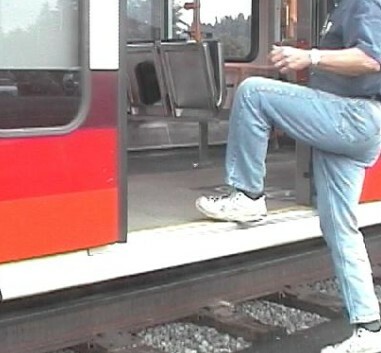 There is no platform at the turnaround, and TriMet really doesn’t like holding people on stopped trains away from platforms since there’s a little bit of a drop to the ground (even on the low-floors) and it’s not at all wheelchair/mobility device accessible. So at 5th and Mill, everyone has to leave the train before it goes into the turnaround. If you need to go further south, take a bus. If you need to go back north, the first northbound train platform is on the other side of the block on 6th – but since the train that you just got off is going to a different destination than where you came from (since they switch from Yellow to Green or Green to Yellow in the turnaround) if, for whatever reason you needed to go back to where you were, the train you just got off wouldn’t get you there. Now that Portland State is going ahead with construction of a new dorm, two more platforms will be added (one on 5th, one on 6th) immediately north of the turnaround, though I imagine it’ll be a few years before that work is completed. So that will be the new point where all passengers have to exit the train before it goes into the turnaround. Since the trains change line colors, it’s confusing to passengers! 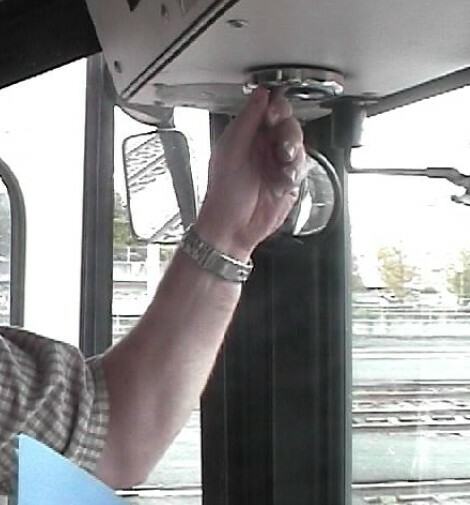 The destination signs on the Type 2s, 3s, and 4s are set automatically from the cab of the train. The type 1s, however, need to be manually scrolled to display the line color and destination. This is particularly problematic when the Type 1 is the trailing car, since the operator really isn’t going to have time to hop out at the Jackson turnaround, walk to the back of the train, change that sign, and then get back up to the lead cab. That’s also making the assumption that they pulled into the turnaround on time to begin with, aren’t scheduled to depart two minutes after they arrive, and don’t need to use the restroom before heading back out. So generally speaking, it’s not preferable to have a Type 1 on Yellow/Green. This was the train I came in on where the Type 1 was the lead car into Expo. 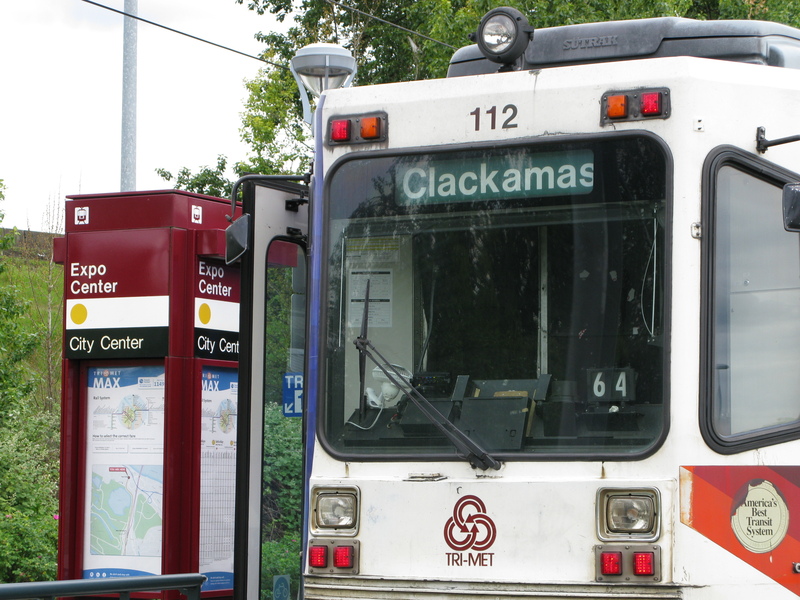 The operator changed the sign for Clackamas, meaning as it travels south on Interstate, which is the Yellow Line, and then south on the mall towards PSU, it’s going to display a Clackamas-bound sign. 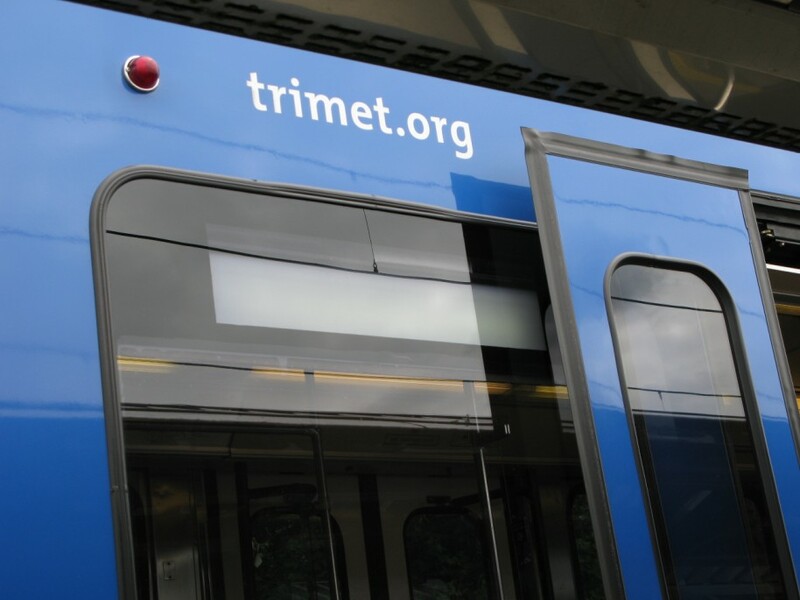 This can be kind of confusing for someone unfamiliar with the Portland area or new to the trains, but if you’re waiting on a platform for a train, you typically don’t see the destination sign on the trailing car so it’s not too bad. 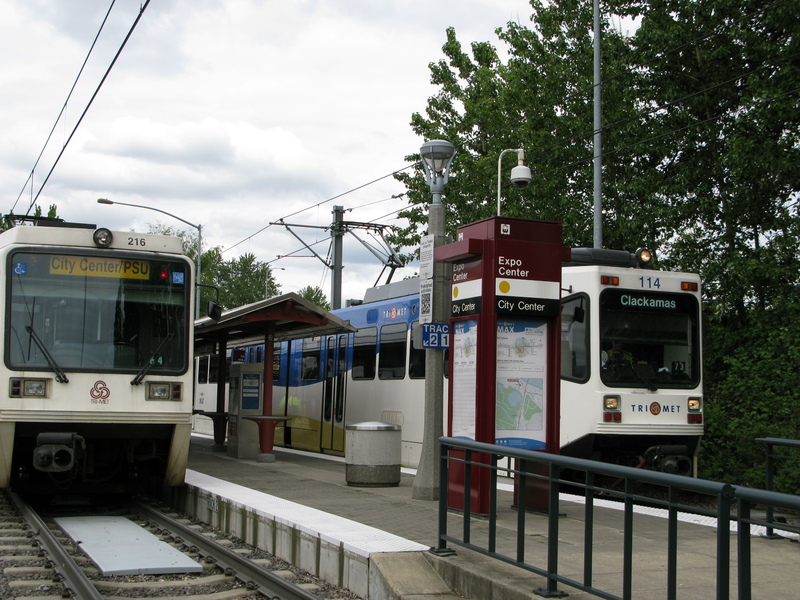 This one is more confusing though – the Type 1 looks like a Clackamas-bound train, and it will be, but first it’s going to travel down Interstate, go over the Steel Bridge, head south to PSU and then it will turn around and go north to Clackamas. Someone getting on at, say, Lombard wanting to go downtown may or may not know this is the train for them. 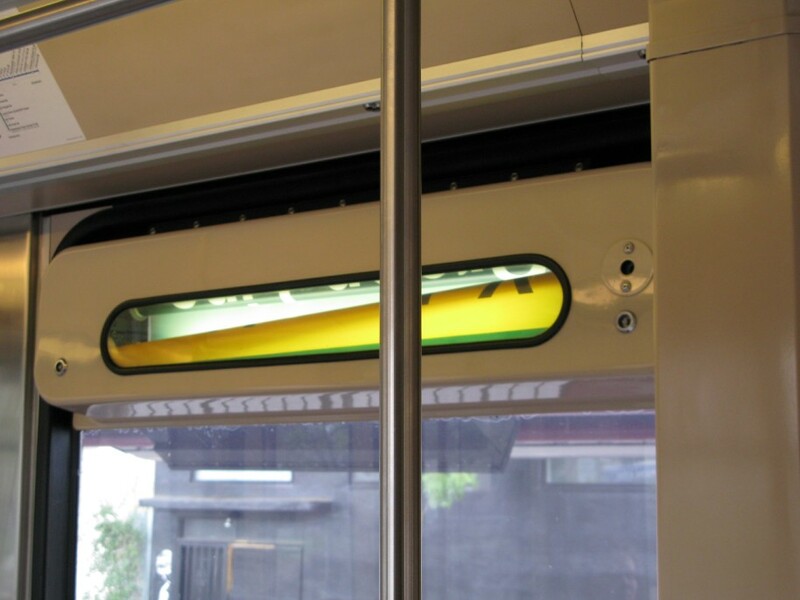 The interconnectedness of the Yellow and Green line trains is just one example of how intricately the entire light rail system is designed that for the most part will go unnoticed by passengers. I mean, sure, if you’re a passenger and you just want to go to Expo for an event or Clackamas to go shopping or whatever, do you care where that train came from before you got on it or where it’s going to go after you leave? Probably not. But for the people that are interested in how everything comes together, it’s fascinating stuff. 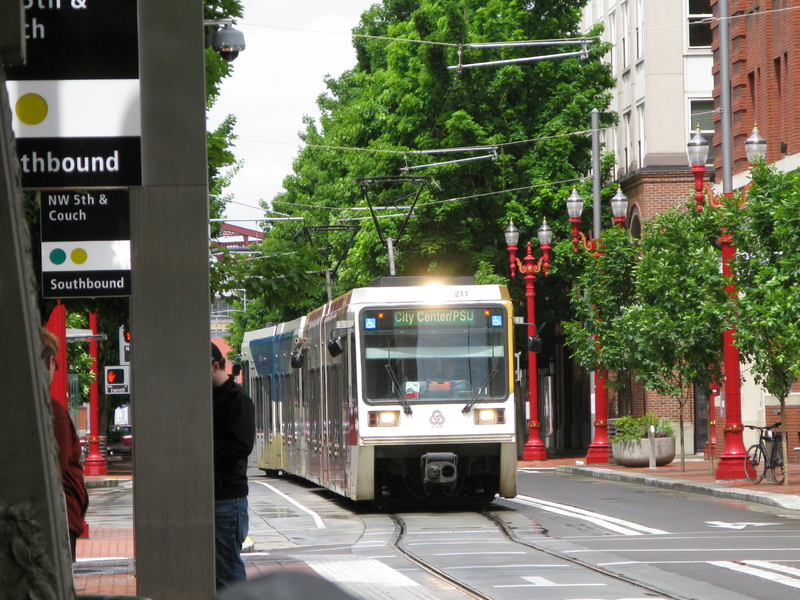 This entry was posted in alignment and tagged light rail, max train, portland, public transit, public transportation, rail, railroad, safety, trains, trimet. Bookmark the permalink. This is a fantastic post! How informative! I hope a lot of people read this, because you explain so well how the Green/Yellow lines work! Great work! You are good! Here’s the full day’s schedule for train 71. I’m assuming you have it (but I don’t know how to link to your stuff! ), so check out the schedule for Train 60 – that’s one of the ones that goes to Expo twice before alternating Yellow/Green. Here’s 60. Yeah that is a weird little bugger. If you ride the Vintage Trolley on Sundays, they’ll let you ride through the turnaround on the trolley. You can just take a seat and ride in giant circles all day long (or as long as the trolley is out) if you want! 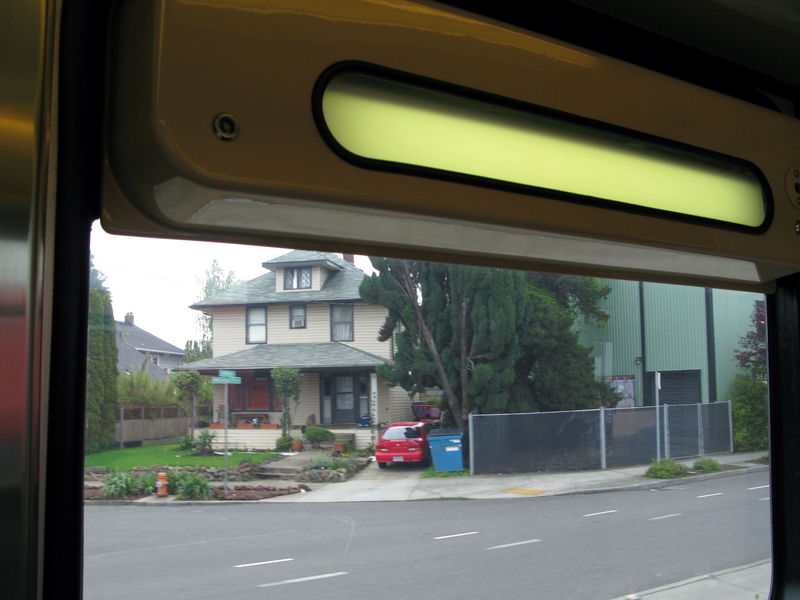 I’m actually surprised and shocked that TriMet hasn’t installed new signs on the Type Is – LED signs should be an easy retrofit for the old rollsigns. 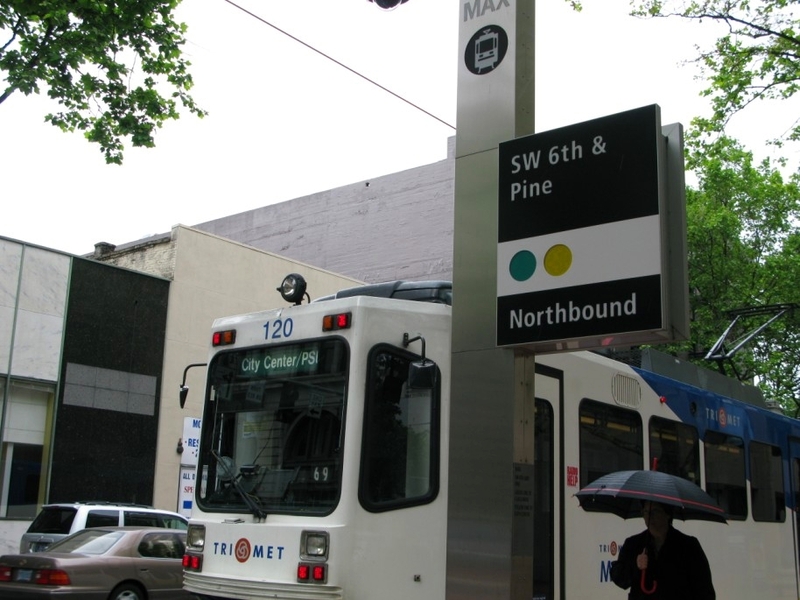 The problem, of course, is getting the electronic signs to work with the rollsigns on the Type IIs and IIIs – it can be done, but is it a good use of TriMet resources? Oh do they? I don’t have anything to do with the Vintage Trolley so I didn’t know that – I know that when the Yellow Line still ended at 11th Ave people with mobility devices and their companions could stay on since there’s no wheelchair lift at Galleria or Library/9th but that had been the extent of passengers staying on through turnarounds. 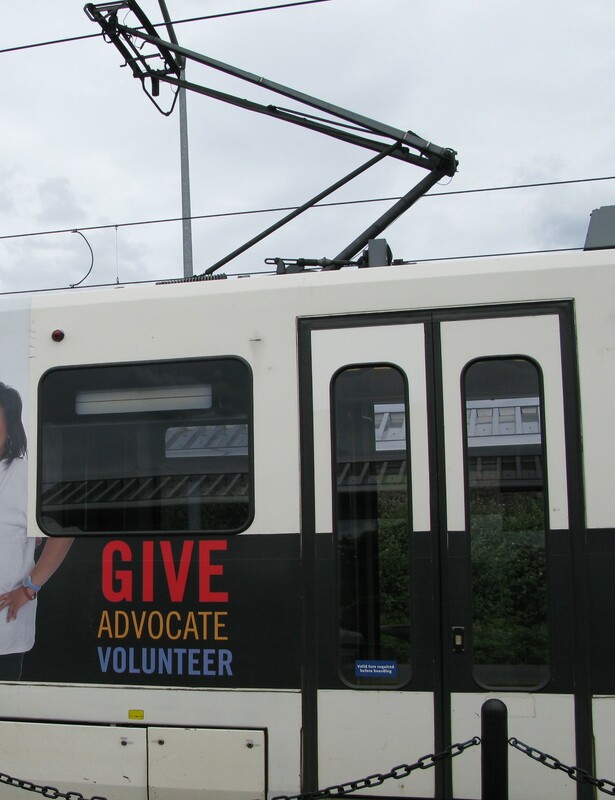 As to your question, my guess is no, that’s not the best use of TriMet resources. It might just be cheaper to make the manual roll signs automatic. I don’t know, though. I’ve noticed a few Type 4 trains lately where the 1st car is displaying the correct destination, but the trailing car will either say Self Test, or just display the wrong information altogether. Earlier today, I was noticing this where it was a Green Line train, but the trailing car said it was a Yellow Line.